CHILDREN OF INVENTION(formerly The Kids Are Alright ): A feature-length family drama that I worked on as producer and 2nd camera assistant, filming in NY, NJ, and Boston in the summer of 2008. The film was written and directed by a college classmate, Tze Chun. It has been enthusiastically received, with numerous film festival awards and inclusion in the 2008 Sundance Film Festival. We are currently travelling from festival to festival with the film, trying to attract distributors and showing the film to as many people as we can. The DVD, along with Tze's Sundance-accepted short, Windowbreaker, are both currently on sale at the film's website, linked above. 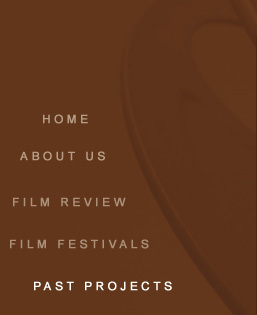 Check out the Screening section of the website to see if the film will soon be playing at a theatre near you! THE SUNKEN WARRIOR(formerly Scorp): A 10-minute short western that I wrote and directed in Cerro Gordo and a nearby dry lake bed on September 2,3,4 of 2006. The film was shot on the VIPER Filmstream camera. DVD available soon, with new documentary, in late 2009. 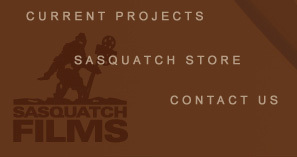 POST-COLLEGE / PRE-SASQUATCH SHORT FILMS: 10 short films completed after graduation in Spring 2002. Note: These are also old and embarrassing, so I decided to take the video down as well. The descriptions are only about 3/10th completed. They will continue to be updated. COLUMBIA UNIVERSITY SHORTS: Collected here are 8 short films that I completed as assignments for the film production course at Columbia. These were all completed in the Spring of 2002. All were filmed on mini-DV with a Canon GL1. Note: There is no video anymore, these things are just too old and embarrassing! I'll just have explanations of the exercises, soon to come.